Marbella Fashion Week is the brainchild of Adam Ryan, the founder of what is considered its UK equivalent, Essex Fashion Week. “Marbella has become a popular holiday hotspot for the Essex county and they both now share a platform where they can celebrate fashion,” Adam explained. On July 21 and 22 of 2017, Puerto Banus became an international fashion show with the celebration of the first edition of Marbella Fashion Week organized by Nueva Moda. This first edition featured the participation of leading international designers. The event started on Friday, July 21, with Stefania Pinyagina, to be followed by Hamza Ben Sabih for Marcano, who received a commemorative plaque as a designer revelation. Later that day we could enjoy the presentation of Jesus Segado and Agatha Ruiz de la Prada. Two famous designers that have changed the way we see fashion. 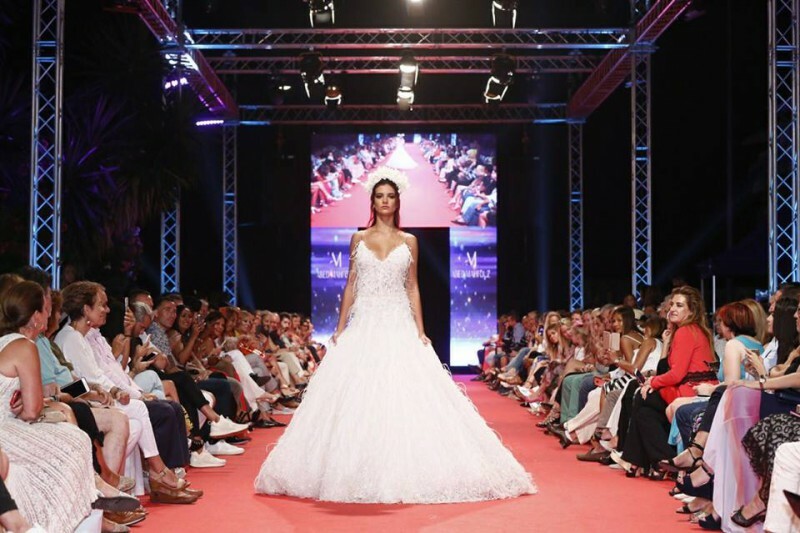 On July 22, it started with Oumaima Haute Couture and continued with Javier Alcántara and the famous international couture designer Abed Mahfouz, who received recognition for his professional career.